Church of St Peter, Clifton Road, Rugby. 1 1909 by C Ford Whitcomb. 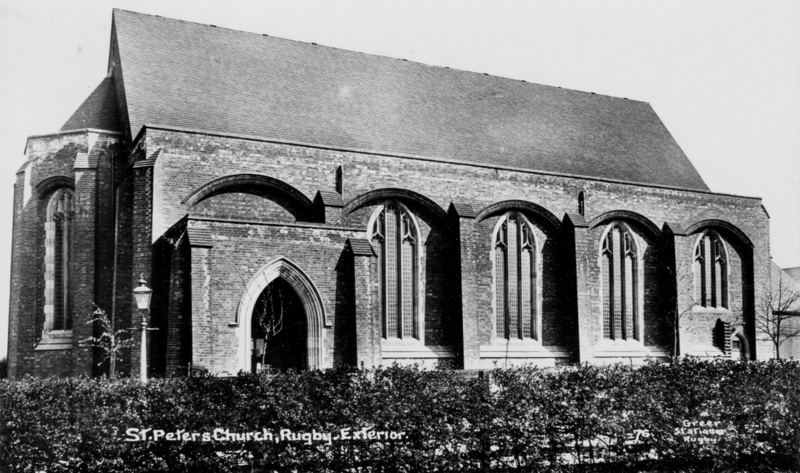 The chancel 1933. Brick, with narrow high aisles and an apsed baptistery. 2 In normal use. Foundation stone dated 1908. Historic inn situated on the west side of the Market place at its north end. The site of a loop railway line at Rugby, in use during the Imperial period, and marked on the Ordnance Survey map of 1886. The site of a gas works, where gas was produced during the Imperial period. It is marked on the Ordnance Survey map of 1923. The gas works was situated on Wood Street, Rugby. The site of a chapel which was built during the Imperial period. It was later used as a school and then as a warehouse. 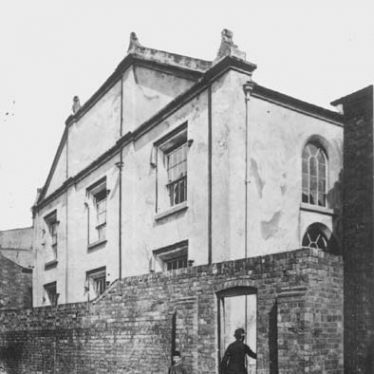 The chapel was situated in Chapel Street, Rugby but no traces of the building are visible. 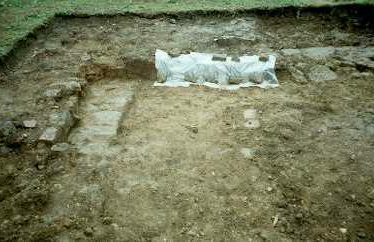 Site of Oratory at Bretts Hall, Ansley. The site of a private chapel or oratory. It had its origins in the Medieval period and was situated at Bretts Hall, 300m south east of Ansley Hall. Site of Old Church of St Peter, Radway. The site of the Medieval Church of St Peter which was the parish church in Radway. It was rebuilt on a different site in 1886. The remains of the Medieval church are still visible, as are some grave stones and a memorial. The site is located to the south of the present church.